I assume you're thinking: "Hmm, I wonder how many different ways Kayle can make chicken?" The answer is-a lot. I'm sorry that my picky-ness is being taken out on all of you, but, well...that's just the way the cookie crumbles I guess. Ah! I'm like all over the place today. Yes, so, chicken. These are actually a little different! They're like delicious chicken nuggets we all know and love-but healthy AND a little gourmet tasting because of the asiago cheese. Trust me on this you guys. Adapted from How Sweet's "Healthy, Crunchy Asiago Chicken Nuggets"
Cut chicken into nugget-sized chunks. For 2-24 hours soak chicken chunks in a large bowl, covered with buttermilk. When ready, line a baking sheet with foil and lay a wire rack on top. Spray the rack with non-stick cooking spray. Mix breadcrumbs, flour, cheese, and seasonings in a bowl. Remove chicken nuggets from buttermilk and coat in crumbs mixture. Place prepared nuggets on the wire rack. 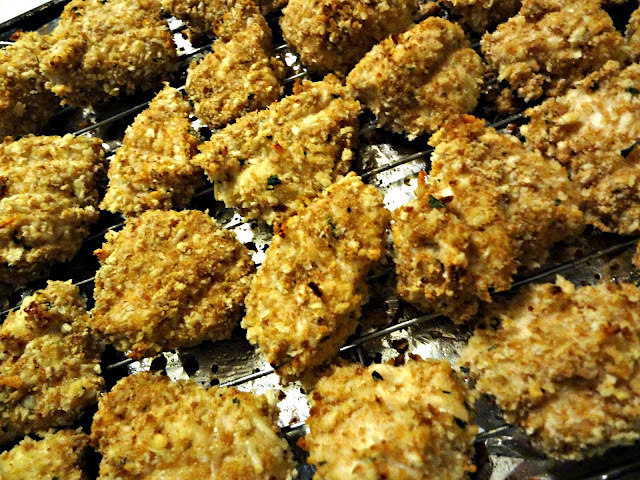 Spritz all the nuggets with some cooking spray to help them crisp up. Bake 7 minutes. Flip nuggets. Spritz with cooking spray again. Ahhh thats so exciting about your audition! And so bizarre trying to find your twin :) Haha and you should totally demand like Heidi Klum or Marissa Miller... I would so do that! Lol due to my short height and dark hair...prob. wouldn't work :p The auditions actually have been postponed, but thanks love! I think you should start a nugget drive through, I would be there to pick up my fair share. These look exceptionally tasty! The twin audition does sound like a lot of fun. They say that everyone has a twin out there. How cool would it be to meet someone that looks exactly like you? I would be excited too! Enjoy the day. These sound so good! Love the addition of the asiago cheese! Congrats on the audition! I always make my own nuggets... but never thought to put cheese in the mixture... I'll be doing this with my next batch:) Thanks for sharing. Oh man these chicken nuggets look good. There are never enough chicken recipes. Oh, these look amazing! 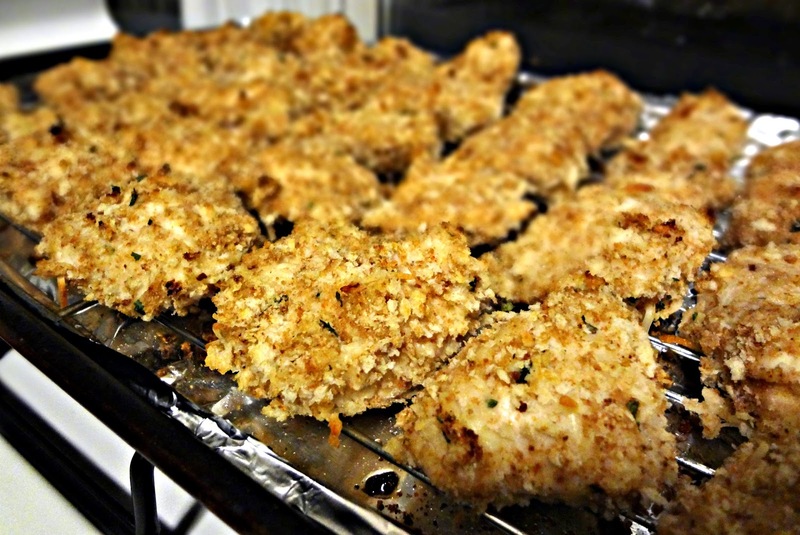 My picky daughter will actually eat homemade chicken nuggets, so I must try your version. Fingers crossed they find your twin and you get the part!!!! These sound delicious! I make chicken nuggets at home all the time but, I would have never thought to add asiago cheese. Great idea! I hope they can find you a twin! It's OK, I like chicken. Especially crispy cheesy baked chicken. Good luck with that part! I don't have a wire rack. Do you have a suggestion of something I can use instead? You can theoretically just bake the nuggets on the sheet, but the secret to the crispiness is the wire rack. Sorry, hope this was helpful!